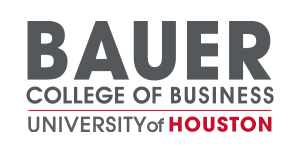 The 50th Annual Meeting Hosted By…. 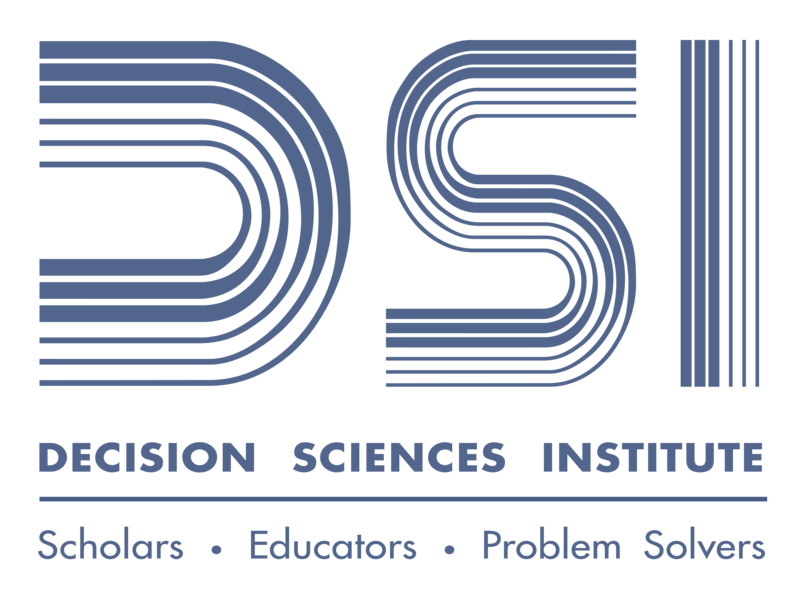 DSI is contracted with the New Orleans Marriott for a group rate of $190.00 per night for a single or double occupancy during the conference dates. This rate will also be offered three days prior to and three days following the conference should you wish to extend your stay. The booking deadline is October 31. To make a reservation for the New Orleans Marriott CLICK HERE. The New Orleans Marriott is a landmark that overlooks the French Quarter and the Mississippi River. The hotel is a 42-story, 449 feet (137 m)-tall skyscraper. The Marriott is the seventh tallest building in New Orleans. The New Orleans Marriott is located on Canal Street and is just steps away from the legendary French Quarter and an easy stroll from landmarks and attractions including Jackson Square, Harrah’s Casino and the Audubon Aquarium of the Americas. .
Jackson Square is a popular destination for tourists and locals. Surrounded by historic buildings, visitors can explore retail shops, galleries, museums, restaurants, and even ride carriages around the quarter. The famous landmark is littered with artists, musicians, and street performers who will keep you entertained as well as create beautiful artwork for you. Experience New Orleans’ authentic jazz at Maison Bourbon Jazz Club. Just 0.5 miles from the hotel, the famous jazz club is one of only two jazz clubs existing on Bourbon Street. Grammy award winner Harry Connick Jr. and other notable Jazz musicians served their apprenticeships here. The relaxing ambiance allows guests to unwind and enjoy drinks while listening to live bands perform classic jazz music. 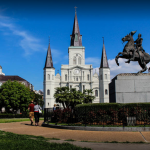 Overlooking the Jackson Square, the St. Louis Cathedral is a prominent part of New Orleans. This classical landmark is located between the equally historical Cabildo and Presbytere. The magnificent architecture and beautiful interior attracts locals and tourists from around the world. Visitors can experience the breathtaking interior as well as its timeless murals, sculptures, and stained glass windows through self-guided tours. 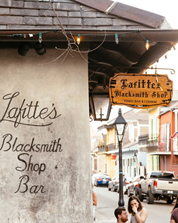 Step into one of New Orleans’ oldest buildings, Lafitte’s Blacksmith Shop. Built sometime before 1772, the building survived the two greatest fires of the 19th century. The tavern used to be operated by the infamous privateer, Jean Lafitte, who was named co-hero along with Andrew Jackson in the Battle of New Orleans. Today, visitors are treated to live music from pianists and great drinks. Dive into the underwater world at the Aquarium of Americas. 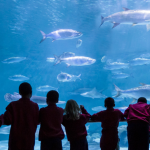 Touch a sting ray, feed a parakeet, and observe giant sharks and rays in 400,000 gallons of water at the Gulf of Mexico Exhibit, are some of the many activities guests can participate in. While there, be sure to visit the popular penguin and sea otter exhibits. Voted “A top museum for you and your kids” by CNN.com, the Audubon Insectarium is a great place to explore and learn about insects and why they are the building blocks of all life. 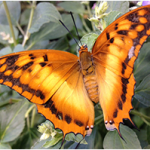 Visitors will have the opportunity to be shrunk to bug size and wander through a mysterious Louisiana swamp, join the active audience of an awards show for bugs, by bugs; and be captivated by thousands of butterflies in the Asian garden. 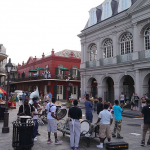 For more ideas on things to do in New Orleans, the links above are a good starting point for anyone taking their first trip to the city (http://neworleans.com).